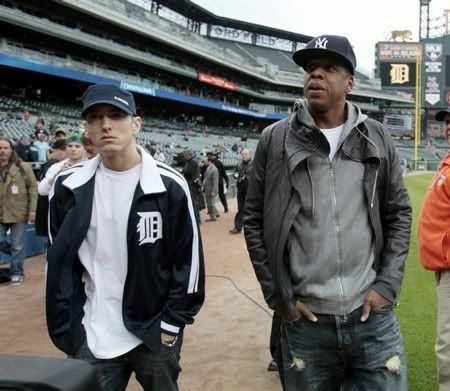 When you think of Jay-Z, three things come to mind: Rapper, Mogul and New York Yankees Fan. For years, the Yankees hat has been a fixture of the Brooklyn-born star's wardrobe, popularizing it as a recognizable symbol of hip hop culture. Jay-Z famously rapped on his hit, "Empire State of Mind:" "I made the Yankee hat more famous than a Yankee can." No one can argue with that. He's a loyal New Yorker and his fitted Yankees hat is his medal of honor, a badge he wears to show the world how proud he is to be from the greatest city in the world. One thing is clear from these photos: the man knows what he likes. Although he might switch it up for a special occasion, Jay-Z prefers the traditional look, which is why the Yankees hat has become his trademark, not to mention a marker of pop culture that will never go out of style. He's one of the most passionate celebrity sports followers, but most fans can't transform their team passion into a lucrative business deal. In April 2012, Jay-Z announced a partnership with his clothing line, Rocawear, to be the team's official sponsor for the 2012 season. For the fan inside the man, also known as Shawn Corey Carter from Brooklyn, NY, this must be a dream come true. How many Yankees hats do you think Jay-Z owns?